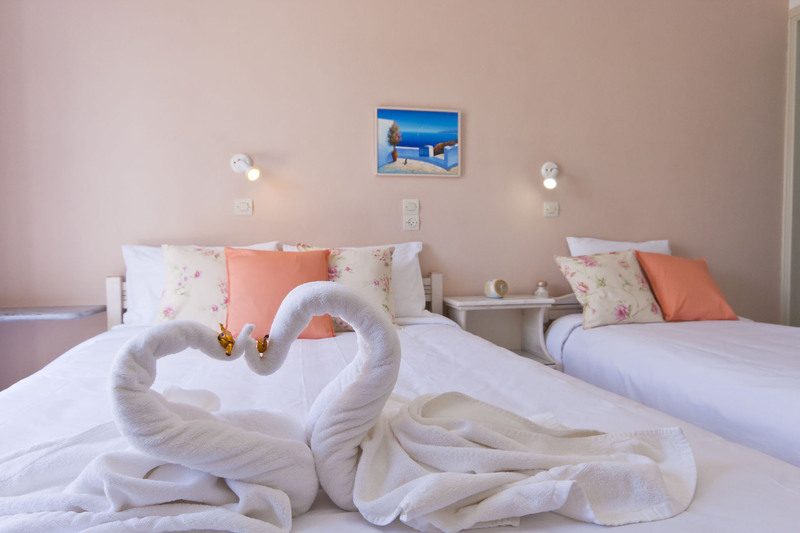 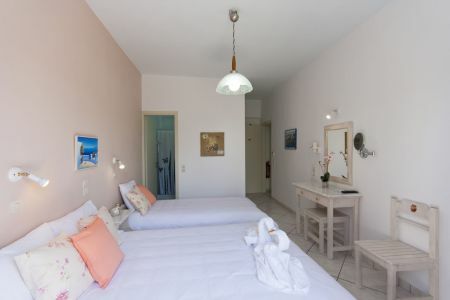 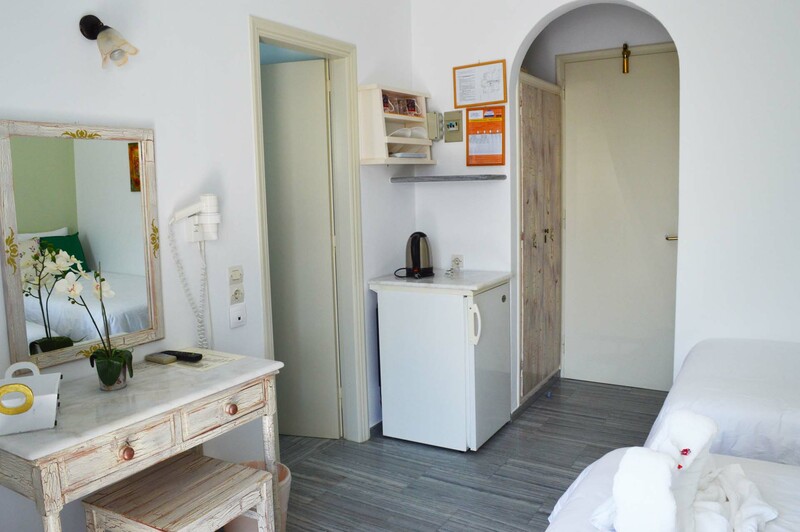 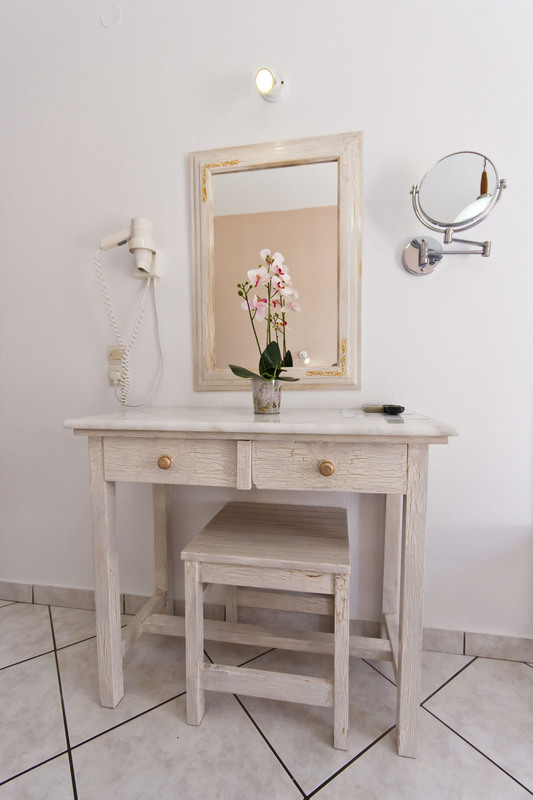 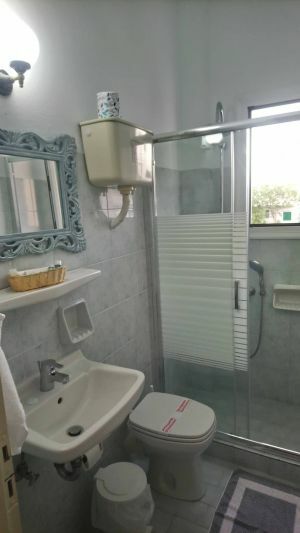 The Sofia Pension Hotel Rooms in Paros Greece are generously sized and are especially designed to offer pleasurable accommodation to the guests. 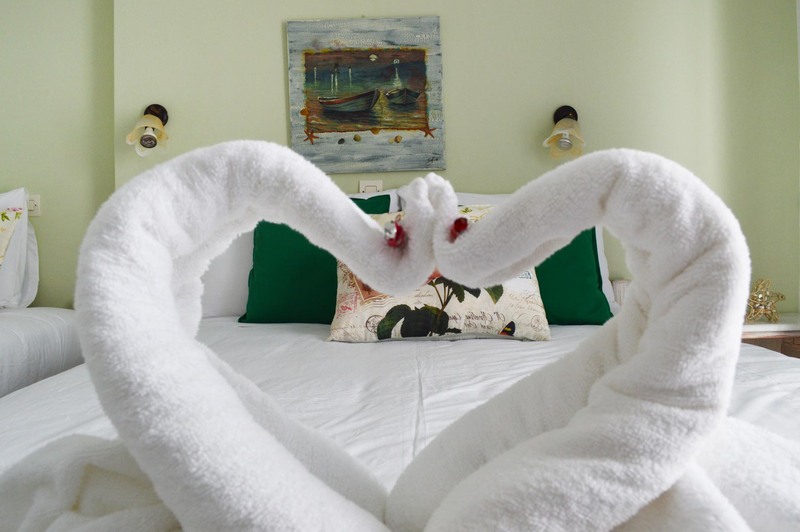 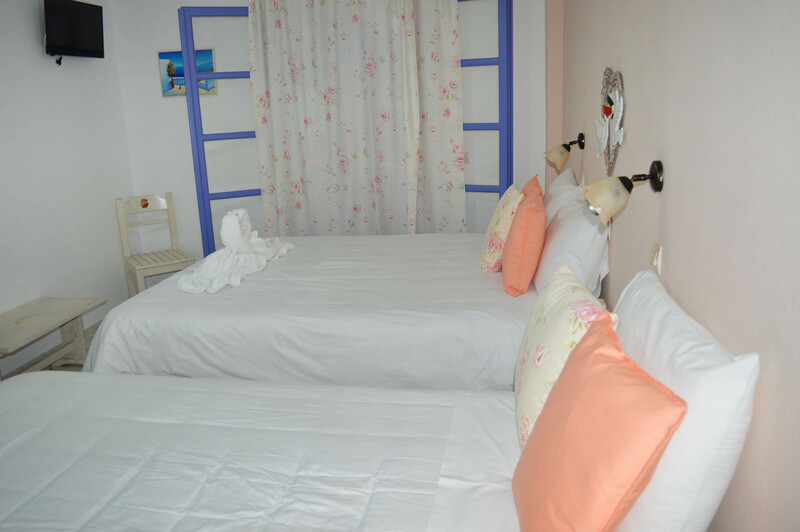 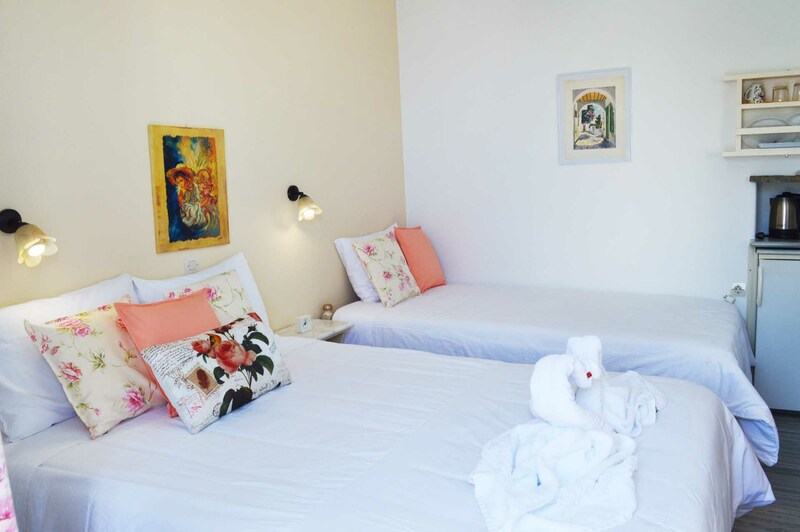 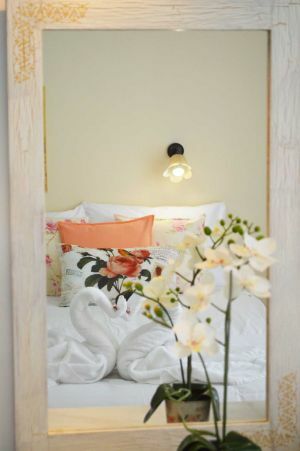 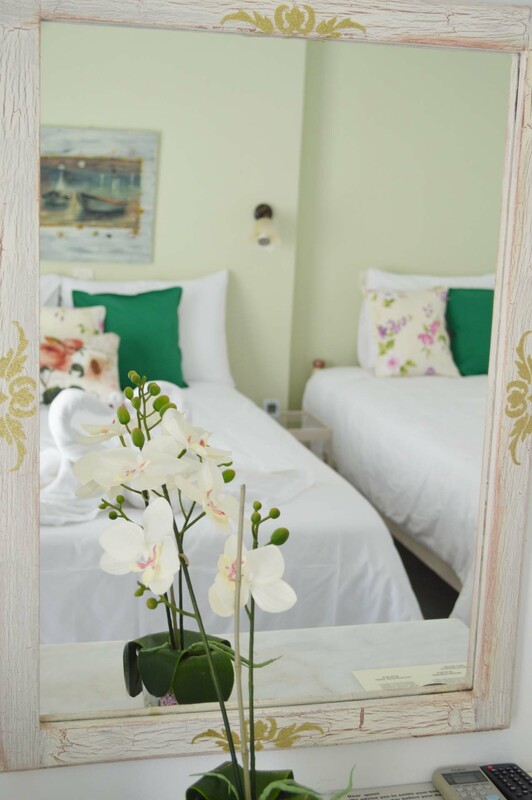 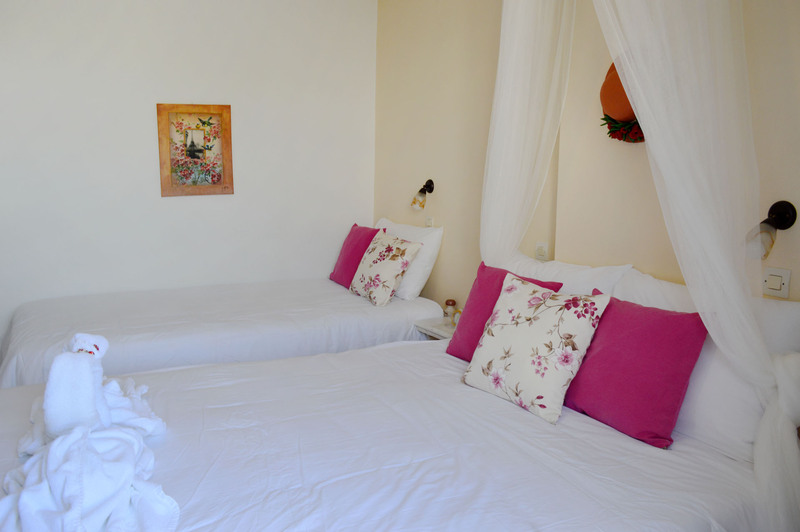 There are double and triple rooms appointed with wooden furniture and with bright coloured textiles, creating a cosy atmosphere ideal for moments of unwinding. 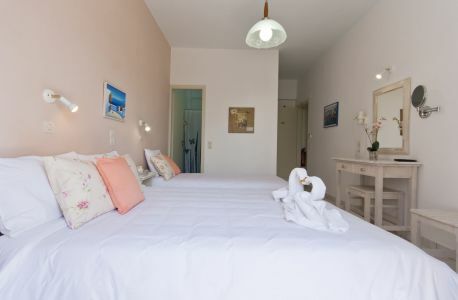 Several of the Sofia Hotel Rooms in Paros also offer beautiful view of the sea or the island landscape.